Sanará meaning, ‘you will heal’ in Spanish, sits on the backdrop of one of the world’s most stunning and popular beaches, looking out onto the turquoise waters of the Caribbean. The hotel features a spectacular beach-appointed Yoga Studio, a world-class Wellness Center, and highly acclaimed restaurant, The Real Coconut. Sanará Tulum won the 2015 National Competition for Architecture and Interiors for Hotels from the Asociacion de Arquitectos e Interioristas, Mexico. In 2017 we were selected #3 in the 150 Greatest Hotels in the World by Harper's Bazaar. Find the perfect, tranquil space to relax and dream. Let time slow down, take a moment for yourself and be spoilt. Experience yoga with world-class teachers in a studio with a view! Sanará's 19 suites, rooms and private villa as well as our Wellness Center, and Yoga Studio are built on the coveted white sand beaches of Tulum, Mexico. Overlooking the crystal clear turquoise sea, the eco-boutique hotel offers Beach Side Suites, a Beach Garden Villa & Jungle Poolside rooms. Each room offers 24 hour air conditioning, a private balcony, luxurious bathroom, and wardrobe. Dressed with imported bamboo cotton from Italy, both the king size and daybed make for the ultimate luxury in sleeping, and accommodate up to two or three people. The Real Coconut is a quiet yet quintessentially cool beach-front eatery. Offering comforting classics with an all-natural twist, plates are prepared from the freshest locally grown produce. 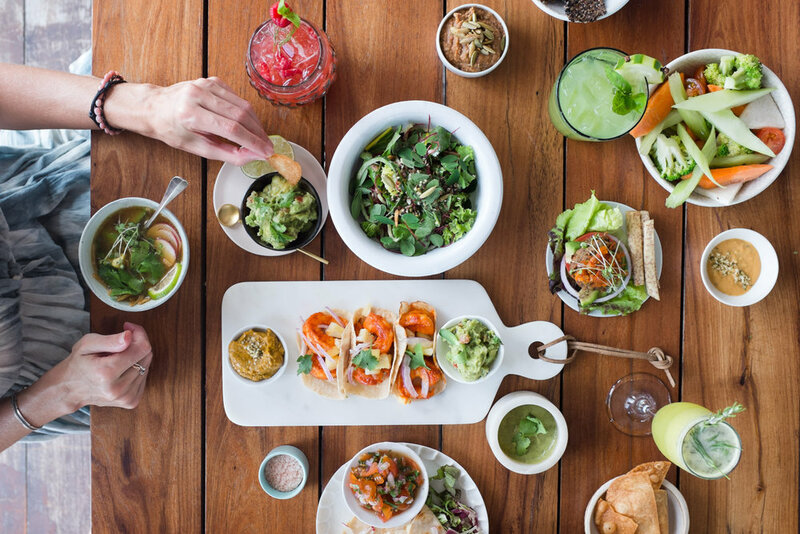 Every dish is designed to nourish and support both the body and soul down to a cellular level, The Real Coconut prides itself on developing plates for the curative conscience and its Tulum influence is now expanding the globe with thousands of stores carrying its products “Free From” grain, gluten, dairy, refined sugar, corn and soy. The Sanara Studio is quite simply become known as one of the foremost settings to practice yoga in the world. Incredibly talented hand picked yoga teachers provide three classes of different yoga practices a day. 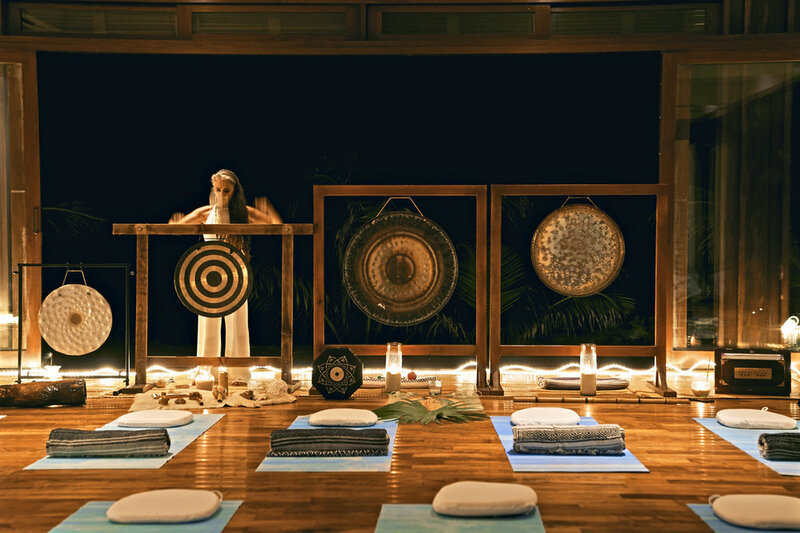 In the evenings weekly Sound Healing as well as Gong events provide immersive sessions. And then there are our special music guests! 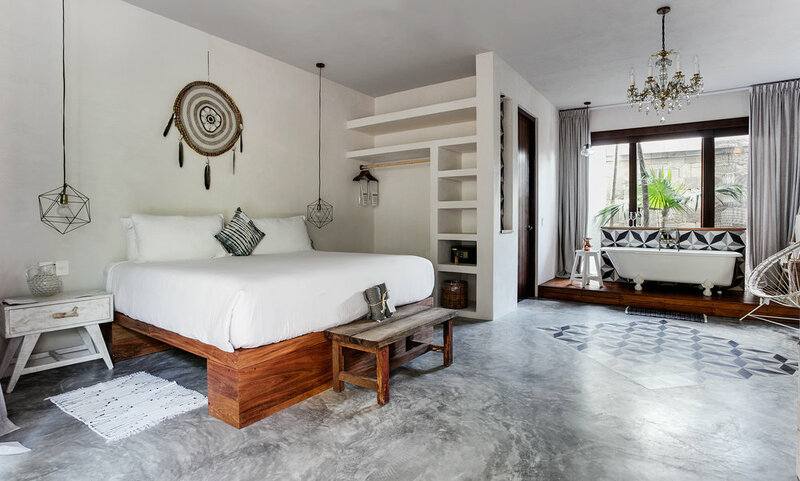 Sanará Tulum has also introduced the Sanará Boutique. The multifaceted boutique is a merchandised wardrobe of international designs and local artisan goods for both men and women. Our boutique is home to Daniella Hunter's stunning clothing line, inspired by her dual life in Tulum and Los Angeles. This versatile collection of simple, elegant pieces offer effortless style crafted in eco-conscious fabrics, designed to be worn practically anywhere. Welcoming new cycles with resetting and cleansing intentions through movement meditation.